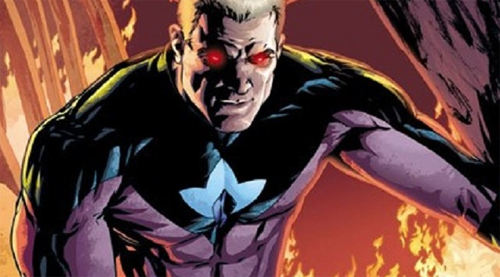 As the search continues for more comics to adapt for film the latest development is that Fox is looking to bring Mark Waid’s Irredeemable to the big screen. Which should be interesting to say the least. Why you ask? For those that don’t know Irredeemable (published by BOOM! Studios Between 2009 and 2012 with Peter Krause and Diego Barreto providing art) is the story of what happens when Plutonian, the world’s greatest superhero snaps and becomes ,in the blink of an eye, the world’s greatest villain. As an enraged Plutonian takes his wrath out on an unsuspecting terrified world, his former team mates collectively known as The Paradigm, are the only ones who stand a chance of stopping his psychopathic rampage. Irredeemable is starkly grim as Plutonian kills a former team mate and his entire family, lobotomises another and kills millions as he decimates Sky City, the city he once protected. Meanwhile The Paradigm try not to implode under the revelations that Plutonian’s actions bring out whilst trying their best to stay alive long enough to devise a means to take him down. Exactly how this grim but undeniably engrossing tale will make it to screen remains to be seen but there’s no way they could do Irredeemable right without getting a higher rating than the usual comic book films we are now used to.